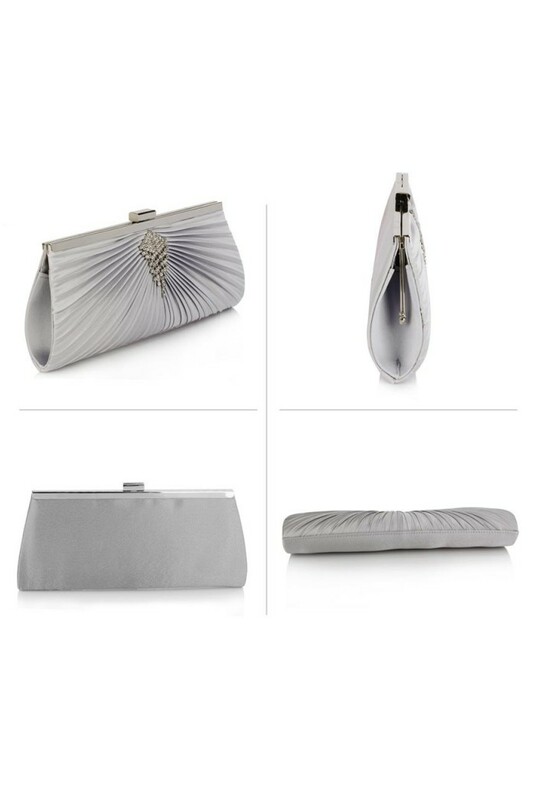 Every aspiring vintage diva needs serious arm candy in her locker, and this stunning Silver Gatsby Handbag is packed with retro elegance and charm. There is something very Marilyn about this silver evening bag although the crystal decoration is definitely deco. 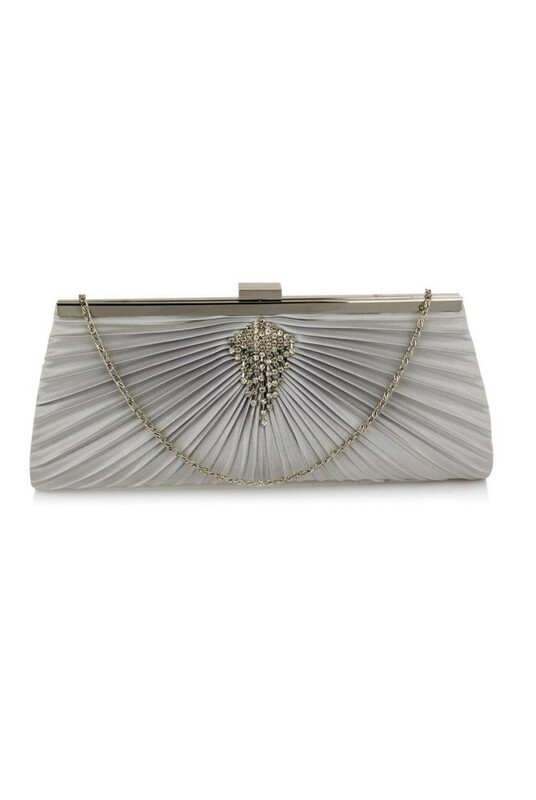 For those on the look out for a formal clutch bag to match a sophisticated gown, this is your winning ticket to silver screen starlet style. We also think it would make a magnificent bridal bag for the bride who wants something a little different for her day. 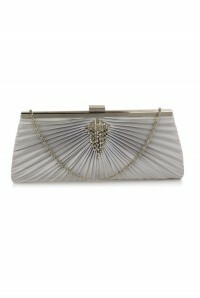 - Rectangular silver fabric clutch with ruched detail. - Silver metal frame and push clasp. 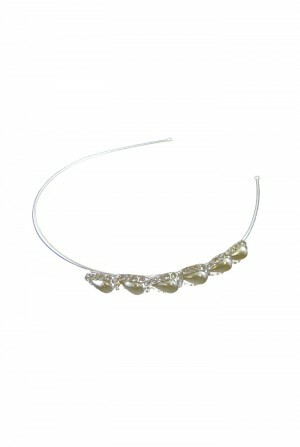 - Stunning diamante brooch in waterfall of crystal stones. - Detachable silver shoulder chain for when you need to do jazz hands.